Behavioral and neuroscientific studies across the animal kingdom demonstrate that many species share the sights and sounds of life with us humans. That they too can feel, even though they can’t talk about it. Why? First, except for size, there are no large-scale, dramatic differences between the brains of most mammals, including the human brain. Second, almost all human behaviors have precursors in the animal literature. For example, when people experience pain and distress they contour their face, moan, cry, squirm, and try to avoid anything that would trigger the reoccurrence of the pain. Many animals do the same. Likewise for the physiological signals that attend pain – activation of the sympathetic autonomous nervous system causing an increase in blood pressure, dilated pupils, sweating, increased heart rate, release of stress hormones and so on. Finally, all of nature’s children are related; all of us live on the various branches of the same tree of life. Because it is likely that mammals can consciously experience the pains and pleasure of life, can be happy or sad, we should not be eating their flesh. Indeed, we should not breed sentient beings for their flesh. It was difficult to immediately follow this growing realization with action – the taste of meat is very deeply engrained! The death of our beloved family companion Nosy – a black German Shepherd with that canny look – in my arms a few years provided the final impulse to make me live in accordance with my belief. I am now an octo-lavo vegetarian. Given that so much nourishing and tasty food is available to us, food that does not involve raising sentient creatures under atrocious and brutal circumstances (find out how cattle are raised to produce white veal-meat) and then eating their flesh, why persist in this morally unjustifiable behavior? For a closely argued elaborate version of this ethical argument, I recommend reading the philosopher Peter Singer’s seminal Animal Liberation. In the summer of 2000, my son and I joined an archeological expedition to dig up part of the Temple built by King Herod in 20 BC in Caesarea, along the Israeli coast. 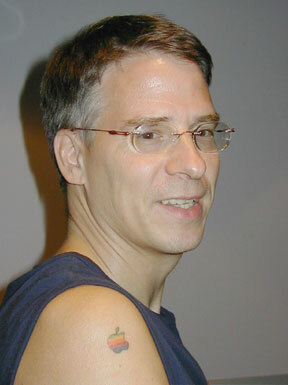 While there, I had an Apple tattooed onto my right deltoid. Together with the Boeing B-747 Jumbo Jet and the Golden Gate Bridge in San Francisco, the Apple Macintosh is the most beautiful and elegant artifact of the 20-th century. A perfect marriage of form and function. 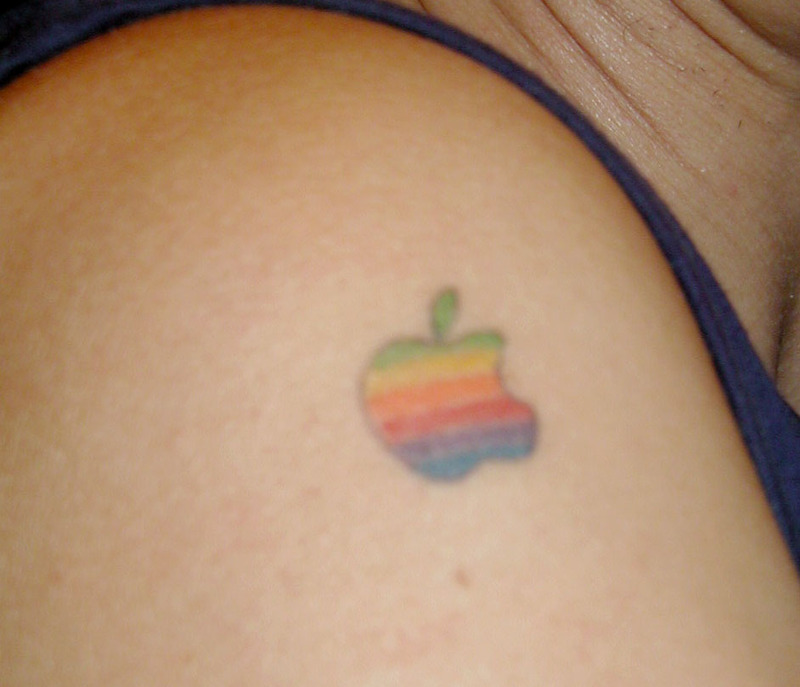 And to answer the obvious question, yes, this tattoo will remain this crisp and cool until the day I die. Check out these images of my brain. Cool, eh! To find out more or to look at my brain in more detail, hit this button. My Erdős number is 3 (through Jonathan Harel, who published with Robert McElice who published in 1971 with Paul Erdős). This is far less than the median of 5 or the mean of 4.65. If you have written a scientific paper with me, your Erdős number will be 4.